It's Not Serious! : How we manage our money! How we manage our money! If you’ve been following me for a while, you might have read once or twice that I left my full time job last year and that my partner Jason did the same two months after. Yep, we both went freelance within a short amount of time of each other, and trust me, it wasn’t the easiest thing to do! We managed quite well though. It was a big challenge but we didn’t end up on the street and a year and a half after, we’re still going strong, so I guess we’ve done ok! Don’t get me wrong, we’re not making a lot of money and we’re not spending much apart from the necessities, but we’ve got a few rules and a way of managing our money that means that we’ve never been in the red even though we might have had a terrible month income-wise. If you’re curious to know how we do it, here are a few points! The obvious: We’re super careful with our money. Before leaving our full time jobs to become freelance designers (Jason is a graphic designer too!) we put aside at least 3 full months of expenses just in case things were not going great at the beginning. That means 3 months worth of rent, bills, food, fuel and insurance. This took a little while but it was definitely the right thing to do. Whilst putting money aside, we made sure to count every penny we were spending, and we carried on once we started our self-employed adventure too (still doing it even now!). It’s so easy to spend £10 or £20 here and there (almost a year back in France and I’m still thinking in pounds! ), go to the restaurant or for a coffee once in a while or even doing some shopping and buying some clothes you might only wear once. When you don't need to be careful with your money, you can do all this, but when you do, that’s about £200/month easy that you can avoid spending. So we did that. Every time we were buying something, even food, we were thinking ‘Do we really need it?’. At the beginning, the only luxury we had was the Unlimited card for Cineworld. That. Was. It. Apart from the bare necessities, we weren’t spending on anything else. It’s tough sometimes, and even today, I find it hard to be so careful and not being able to splurge on something I really like, but for now, that’s just what it is and I’m still happy about my decision of leaving the security of a regular paycheck to do a job that I really love and am passionate about. But if you’re thinking of doing the same, be prepared to make some big changes in the way you spend your money! We (almost) never buy anything new or full price. Not only have we never been in the red with both our bank accounts, but we’ve also never taken a credit card or a loan since we’ve been living together (so almost 4 years). 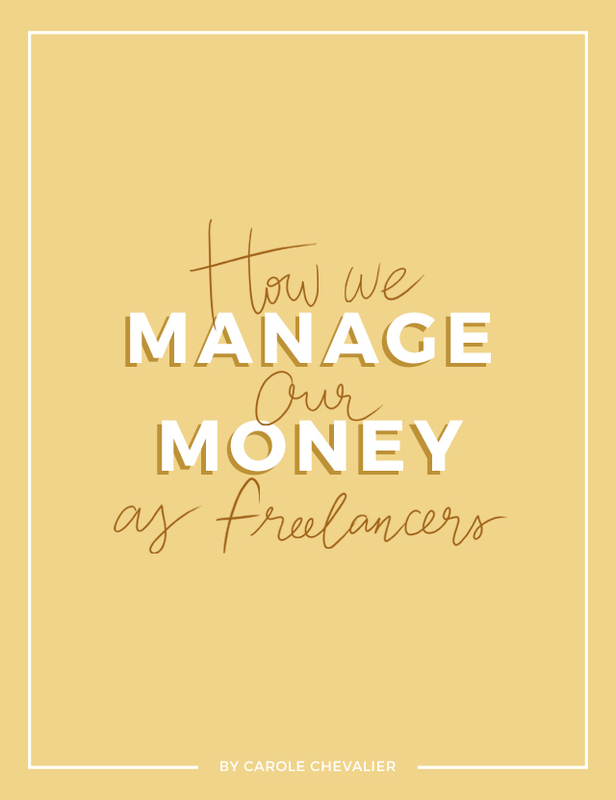 And that really helped us when going freelance and even now, the fact that we only have to pay the usual stuff every month and not worry about multiple loans for a car, furniture, or whatever, that’s the best. So how did we do it? Anything that we can do ourselves, repairs on the car, building furniture we need out of palettes, or even food that we can prepare in advance instead of buying some ready meals or takeaways, we do it. It’s never the easy choice, it’s always a bit more stressful and time consuming but oh my god it saves you so much money. Second hand shops are our best friends (hell, most of our furniture is second hand! ), and we’ll never buy home appliances unless there’s an offer on. Also, we only buy clothes when there’s sales on now (which is rare in France) and trips to the restaurant are limited to once a month as a treat. Basically anything that we can save money on, we do. It sounds easy, but it can be hard sometimes when you can’t be bothered and just want to have a nice sofa in your living room without looking at the price. Our kitchen is still not complete after 9 months renting our house, but that’s only because we haven’t found what we want yet at a good price. Very important too: we don’t spend on something we can’t afford. If we really need something but don’t have the money right now, we wait until we’ve saved enough money to buy it. Jason really wanted a new phone for example and to be fair, his old one was almost dead, so he saved enough to buy himself one a few months later (and again, it was on offer on Amazon). You’re going to tell me: what about the urgent stuff that can’t wait? Well, this is why it’s important to save money every month, for the unexpected. If tomorrow our washing machine dies, we’ve got enough money to buy a new one without using a credit card or a loan. As I just said above, this is the key to any unexpected expenses. We ‘sacrifice’ ourselves by only spending the minimum every month so that we have enough money to put aside on our saving accounts. It’s so important to us to make sure that we’re not spending the same amount of money that we’re earning. We also prefer it this way as it allows us to have some time off every now and then. Yep, when you’re both off when you’re freelance, it means that you’re earning no money at all for that period of time. So you better be prepared for that! And let’s not forget taxes. Our good friend Hollie from Follow Films told us that the best way to be ready for it at the end of the financial year is to put at least 20% of what you’ve earned aside every time. So at the end of the month, when we calculate how much we’ve earned, we also put 20% of that amount aside, ready for our taxes when we’re having to pay them. We’re our own accountants, so we’re careful about all this and we keep track of all expenses and income regularly. I personally check my account every couple of days and I have a spreadsheet for each month of the year where I write it all down. Organisation y’all! We try to stick as much as we can to a budget for everything that we can’t avoid spending on. Now that we’re in France, we try not to spend more than 60€ a week on food. To save money, every Sunday night I cook a big batch of soup that we will have for lunch during the week. Even though we’re both working at home, we spend about 60-80€ a month on fuel. We live 2 hours away from my family so we do spend quite a bit on fuel sometimes, and we also need to take into account the occasional trip on weekends to discover a nice place in Bretagne. Let’s face it, fuel is not cheap! But the one thing we can’t do is just staying at home all the time. Weekends are for discovering! As for electricity, water and gas, well, the only gas we use is for our cooker and we spend 34€ on a big bottle every 6 months. Electricity is a bit more tricky as we need it when we’re working all day, and also for heating the house along with all the usual things. So we’re pretty savvy with it. We rarely put the heating on and when we do, never for a long time. That means that I have to wear a big jumper and scarf often in the house during winter, but it’s all for the greater good! We never leave a light on when we’re not in the room anymore and we never leave anything charging (phone, laptops, etc.) continuously. Little side note: we also switched all our bulbs to LED ones so that they don’t consume much. In Spring/Summer (so without heating), our electricity budget is only 35€ a month thanks to that. Same thing with water, we’re super careful to use just what we need. To the point that we won’t flush the toilet when we only go for a wee. It doesn’t bother us and to us it’s not just about saving money, it’s also about being responsible for the planet. We don’t have a shared bank account, but we work as a team. For example, even if the rent is coming out of my bank account, Jason has an automatic transfer of half of the rent going from his account to mine every month so that we both pay half. Usually, I’m the one managing money. When we do our food shop, I’m the one paying, same thing with fuel and other similar expenses. So at the end of the week, I calculate how much we spent and Jason transfers half of the amount to my account. We’re also splitting bills as equally as possible which really helps. However, when one of us has earned a lot less and is struggling to pay the bills, the other one that earned more will help. When I went freelance first, I had a bad month soon after where I hardly earned anything. Jason had just left is full time job and had more money than me, so he naturally paid more towards everything that month. But then earlier this year, it was Jason’s turn to have a horrible month with almost nothing left in his account, so I took charge of everything until he could help financially again because I was earning more at that time. Basically, we always discuss about how our money is doing and when you’re living together, I think it’s crucial. Well, I think that’s all! We’re still new (kind of) at this whole freelance life but we feel that we’re managing quite well and we’re proud of the fact that we’re making it work even though it can be hard sometimes. The only thing I miss a lot is traveling. We used to be able to go on holiday to a different country every year and go for a few weekends away, but this year, we haven’t been able to. I have to say though, it’s not just because of freelancing, it’s also because we moved to France with nothing but our clothes and a few personal items and we’ve had to start from scratch. We’re hoping that next year we’ll be a bit more settled and we’ll have more money to spare on holidays and trips far away. Joyeux Noël + some news!